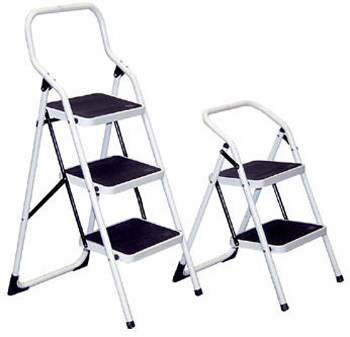 Fold-Up Step Ladders are durable, lightweight, multipurpose ladders are perfect for homes, offices, schools and industrial warehouses. Folds up to a 6" profile for convenient storage in closets and other tight spaces. Step heights are 91/2", 19" and 271/2". Capacity is 200 lbs. Steel construction. Powder coat finish. See chart below for specs. 19" x 18" x 29"
6" x 19" x 38"